Whether you’re travelling for business or pleasure, Abu Dhabi is a great destination. And if you’re on a gluten free diet, you definitely won’t go without in the capital of the United Arab Emirates. Enjoy some of the most fabulous food in the world from top chefs at these 10 brilliant Abu Dhabi gluten free restaurants. This poolside restaurant is one for the sun-worshippers amongst you. Casual yet oh so chic, Nahaam offers a menu of understated gluten free cafe style dishes as well as refreshing juices and smoothies for health buffs. If it’s a Japanese feast that you fancy, make your way to Koi Restaurant and Lounge, one of the top Japanese restaurants in Abu Dhabi. We love their gluten free seafood dishes and of course the freshest sushi and sashimi. When we visited Origins we were taken aback by one of the most impressive buffets we’ve ever seen! The choice here really is incredible, and you can bet that gluten free travellers are very well catered for indeed. The luxurious Jumeirah hotel is home to this lovely restaurant, which offers a buffet-style dining experience and comes complete with a fantastic terrace to enjoy your food al fresco. The staff have great knowledge of gluten free diets here. Abu Dhabi’s The Foundry restaurant is an award-winner, famed for its fantastic steaks and indulgent dinners. This is an upmarket restaurant which is ideal for any gluten free travellers seeking a restaurant for a special occasion. For a modern take on classic Indian cookery, you can’t go wrong at Angar. This beautiful Abu Dhabi Indian restaurant is a great place to enjoy a gluten free dinner, as many of the dishes are naturally gluten free. 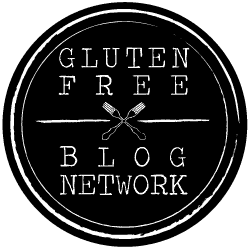 We always get so excited when we hear a mention of gluten free bakery! The Firin Gluten Free Bakery lives up to the hype, too, offering amazing gluten free cakes, cookies, breads and much more. It’s all available for home delivery, so visit the bakery online and place your order. No trip to Abu Dhabi is complete without a trip up to the top of the Jumeirah Etihad Towers, to feast your eyes on amazing views of the city. And while you’re up there, you can bet you’ll be well catered for with an array of delicious gluten free dishes and treats at the Observation Deck cafe. Italian restaurants are not often ideal for gluten free travellers, but at Circo you’ll be well looked after. The range of Italian dishes includes plenty of gluten free options, and the staff really know their stuff too. Get ready to indulge! The Catch seafood restaurant and lounge is renowned for its amazing brunches. Not only that, the views from this beachside restaurant are to die for, and there’s an unbeatable party atmosphere that we bet you’ll love. If you’re travelling to Abu Dhabi soon don’t miss out on these fabulous gluten free restaurants and cafes. Have a great trip, and leave us a comment if you discover any other gluten free gems in Abu Dhabi.